Knee injuries can be some of the most difficult and frustrating workers’ compensation injuries. They affect your ability to stand, walk, and squat. When you suffer a knee injury, getting good medical treatment is crucial. Serious knee injuries may require surgery and other forms of medical treatment to help you recover. This article will discuss some of the specific issues associated with getting workers compensation medical treatment for knee injuries. I am not a doctor or a medical professional, so this information in it is not intended as medical advice. 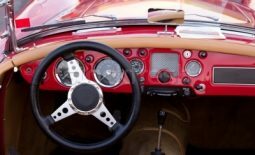 Instead, this article is intended to help you understand your rights to medical treatment for your knee injury under Georgia workers compensation law. When you suffer a knee injury, one of the first things you should do is tell your employer. Georgia law requires you to give notice of your injury. If you do not give notice within a certain time frame, you could lose your right to receive workers compensation benefits. When you tell your employer about your injury, you should be able to get information about the list of doctors (otherwise known as a panel of physicians). You need this information so you can know which doctors you can treat with for your knee injury. The employer’s panel of physicians should include at least one doctor who specializes in orthopedics. If you have a knee injury, you will probably need to see an orthopedic specialist at some point. But, you may not have to choose that doctor as your initial doctor. Remember that the doctor that you choose as your authorized treating physician can refer you to a specialist if needed. What medical treatment will I need? The medical treatment you need will certainly depend on the type of knee injury you suffer. Your doctor should examine you and order testing to make a determination. This testing will likely include x-rays to determine if you have a fracture. The doctor might recommend some medication and physical therapy. The doctor may order other diagnostic tests like an MRI. MRIs often show problems that cannot be seen with x-rays. This could include a torn ACL or MCL or a torn meniscus. Sometimes, the doctor needs to do surgery to repair these types of problems so you can recover from your injury. What if the insurance company refuses to pay for my medical treatment? Just because your authorized treating physician recommends certain medical treatment or testing does not mean that the insurance company will authorize it. Insurance companies often refuse to pay for medical treatment and testing that doctors recommend. 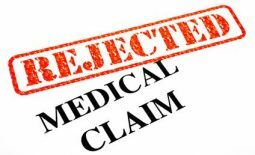 There are several different ways to try to get your medical treatment approved when the insurance company denies it. You or your attorney can talk to the insurance adjuster or case manager to try to get treatment approved. You or your attorney can also file a Form WC-PMT or request a hearing. The doctor’s office can talk to the adjuster or send a Form WC-205. If you want more information about overcoming medical treatment denials, this article I wrote discusses that in more detail. What if I have questions about getting medical treatment for my knee injury? Serious knee injuries often have lasting consequences. They can affect your ability to earn a living and support your family. You need to get good medical treatment to have the best recovery. Many people are unsure what to do. If you are injured, you need to make sure that know your rights or have someone on your side that does. If you have questions or think that you may need help, the best first step is to get a free consultation with a workers compensation attorney. It costs nothing and can help you get answers to your questions. Setting up a free consultation with me is easy. Just call our office at (770) 214-8885. Or, you can complete and submit the free consultation request form on this page.